Since its inception eight years ago, the SparkFun Education team has held myriad trainings, workshops and professional development courses. The skill level of the participants in our courses has varied from kindergarten-aged students, to university professors, to NASA engineers. These classes have a wide variety in their subject matter, but one aspect of the syllabus never changes regardless of the topic. Each and every SparkFun class begins with a paper circuit activity! A paper circuit is an electronic circuit built on a paper surface instead of the traditional electronics medium, a printed circuit board (PCB). Using straightforward materials allows the simple functionality of a basic circuit to shine, making the concepts really click with students. These items were once only available for individual purchase, UNTIL NOW! SparkFun has taken one of our favorite projects and made it into a kit for your ordering ease, complete with all parts and materials needed - including a robot card template to create your paper circuit on. Anyone looking for back-to-school activities, look no further – we’ve got you covered. 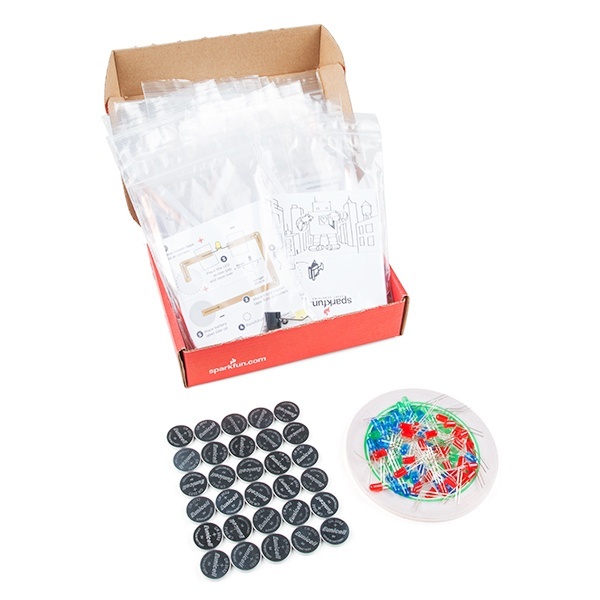 The brand new Paper Circuits Classroom Pack is the perfect way to kick off the new school year, and includes 30 individual light-up robot circuit kits for your students to design and decorate. 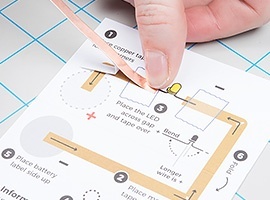 If you find yourself asking, “How am I supposed to teach this activity when I’ve never done this myself?” Don’t worry, not only are paper circuits incredibly simple, we also have a blog post for that. 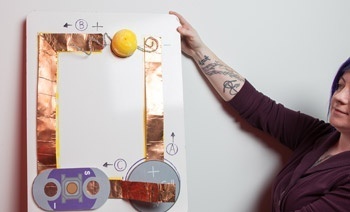 Angela’s Create Your Own Paper Circuit Teaching Tools takes you through step-by-step instructions for creating visual teaching aids. 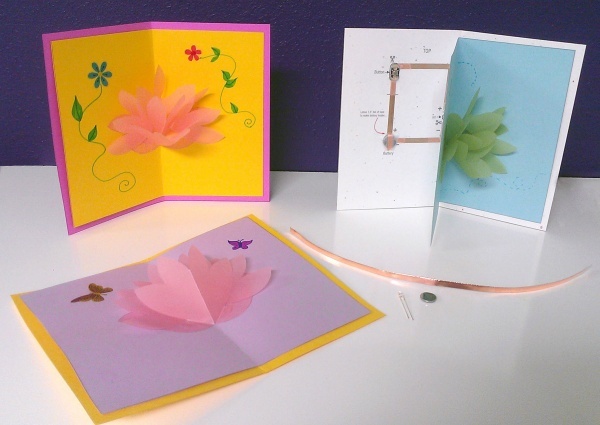 If your students love this quick beginner activity, take it one step further by using one of our paper circuit greeting card templates.